Want the kit instead? Make life easier and order it here! Create a darling table runner using your orange scraps! 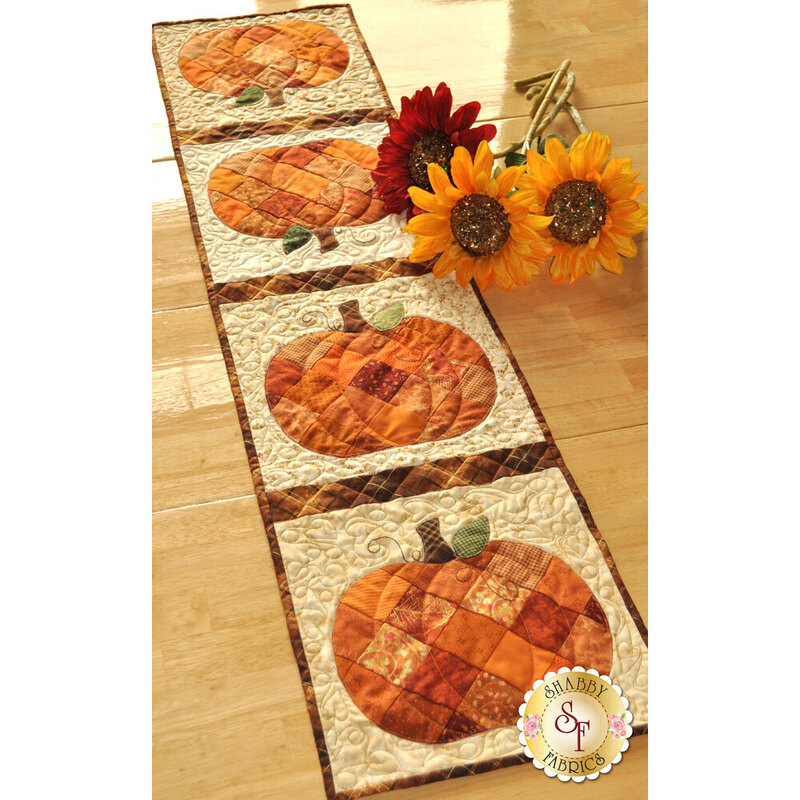 This Shabby Fabrics Exclusive finishes to 12 1/2" x 53" and features patchwork pumpkins, appliqued stems and leaves, and a touch of embroidery. 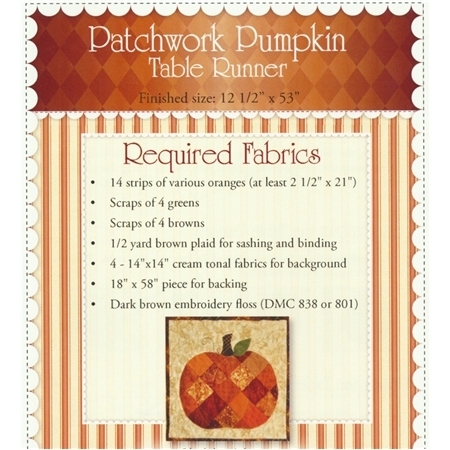 Patchwork Pumpkin Table Runner by Jennifer Bosworth for Shabby Fabrics is quick and easy. Add the Olfa 45mm Rotary Cutter below for precision cutting!